Disclaimer: Lanolin is not recommended for use by those who have wool allergies. 1. It seals in moisture. Lanolin, secreted by the sebaceous glands of sheep in order to protect the skin and wool from the harsh environment. It would then not seem unreasonable that lanolin would work well as an effective sealant on our own hair. 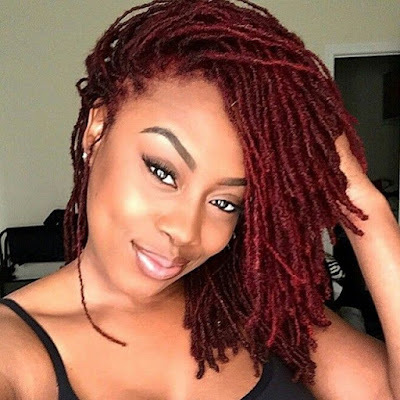 Though this waxy, thick substance locks out moisture (i.e., preventing water from penetrating the hair) it also locks in moisture (i.e., retains water that is already present in the hair strand). NOTE: If you have fine strands, lanolin may feel too heavy; try the oil form (of lanolin) instead. 2. It has conditioning properties. 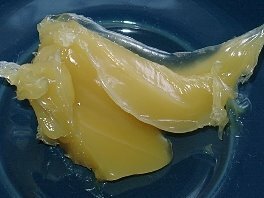 Lanolin can be very lubricating. 3. It can aid in styling. Due to the waxy consistency of lanolin, it can help to define twist outs, braid outs, and roller sets. It can also help to smooth down any frizzies or stray hairs and add shine (or sheen). 1. Use it to seal your ends. Depending on your hair texture and density, lanolin may or may not be too heavy for use. If it is too heavy, try using it sparingly or opting for lanolin oil instead. 2. Use as a pre-shampoo treatment or to enhance a conditioner. Use lanolin (or lanolin oil) alone or with other ingredients as a pre-poo treatment. Add some melted lanolin (or add lanolin oil) to your conditioner for an enhanced conditioning treatment. 4. Use it as an anti-humidity agent. Because lanolin can act as a barrier between your hair and the environment, it can work well to protect your styles from being ruined by humidity.